Wombat Security Technologies (Wombat), a leading provider of cyber security awareness and training solutions, today announced Gartner, Inc. has positioned Wombat as a “Leader” in its 2014 Magic Quadrant for Security Awareness Computer-Based Training Vendors report. 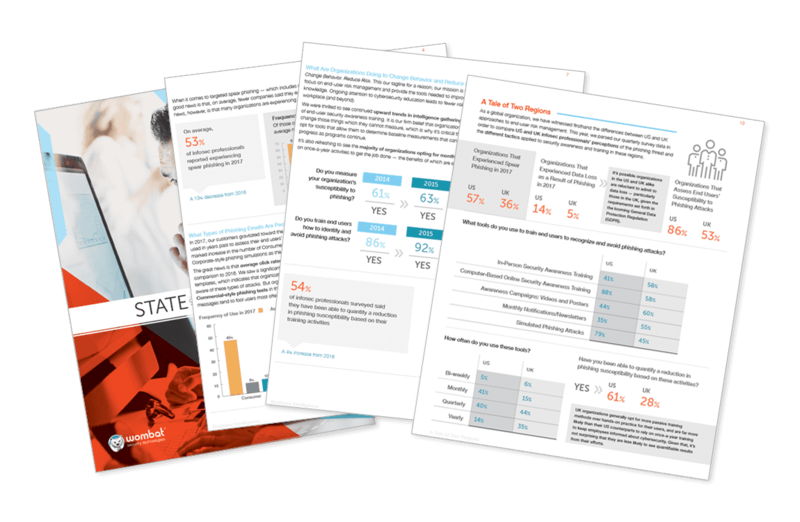 * The report evaluated 19 different vendors on 14 criteria and placed Wombat in the Leader's quadrant. The full report is available at no charge from Wombat on their website at http://info.wombatsecurity.com/wombat-named-a-leader. Using the Wombat Security Awareness and Training Methodology, customers have notably minimized their risk through reduced malware infections (up to 95%), reduced successful phishing attacks (up to 90%), fewer helpdesk calls, increased reporting of incidents by employees, all while improving their overall security posture. In addition to a robust security training platform, Wombat features security assessment tools to give CSOs important insights into employee susceptibility. Customers can pair CyberStrength® knowledge assessments with PhishGuru®, SmishGuru®, and USBGuru® simulated attack programs for a comprehensive view of an organization’s potential vulnerabilities — and manage them all from a single, easy-to-use platform that’s purpose-built for security officers. *Gartner “Magic Quadrant for Security Awareness Computer-Based Training Vendors” by Andrew Walls. October 13, 2014. The Gartner Report described herein, (the "Gartner Report") represents data, research opinion or viewpoints published, as part of a syndicated subscription service, by Gartner, Inc. ("Gartner"), and are not representations of fact. Each Gartner Report speaks as of its original publication date (and not as of the date of this Prospectus) and the opinions expressed in the Gartner Report are subject to change without notice.